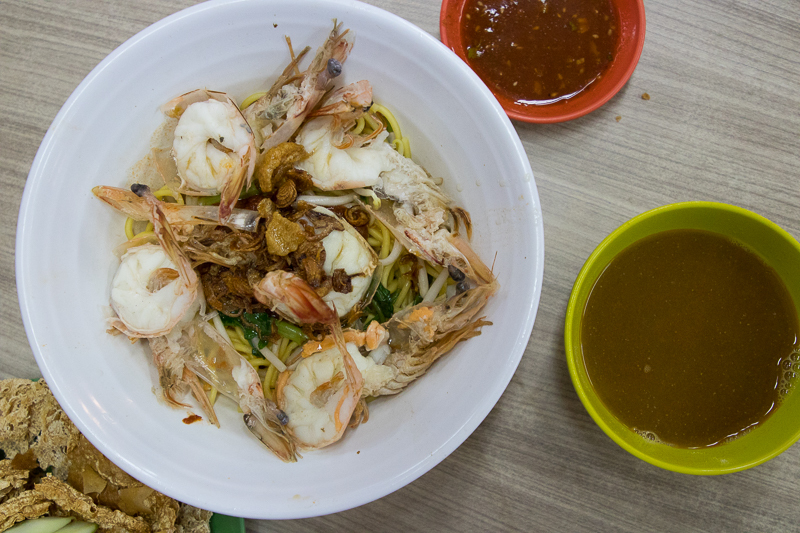 Growing up, Blanco Court Prawn Mee at Beach Road has been my go-to comfort dish. I fondly remember having it regularly before my tuition classes. 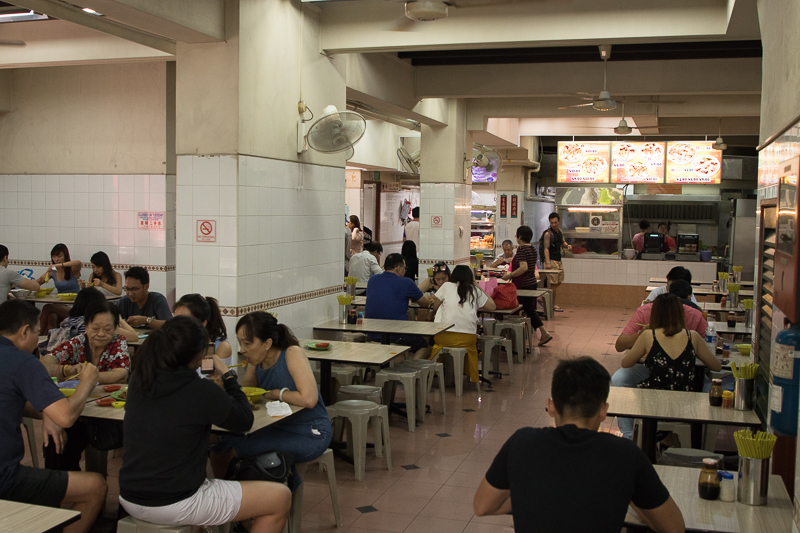 Around the same area, Beach Road Prawn Mee Eating House also serves up similar dishes. 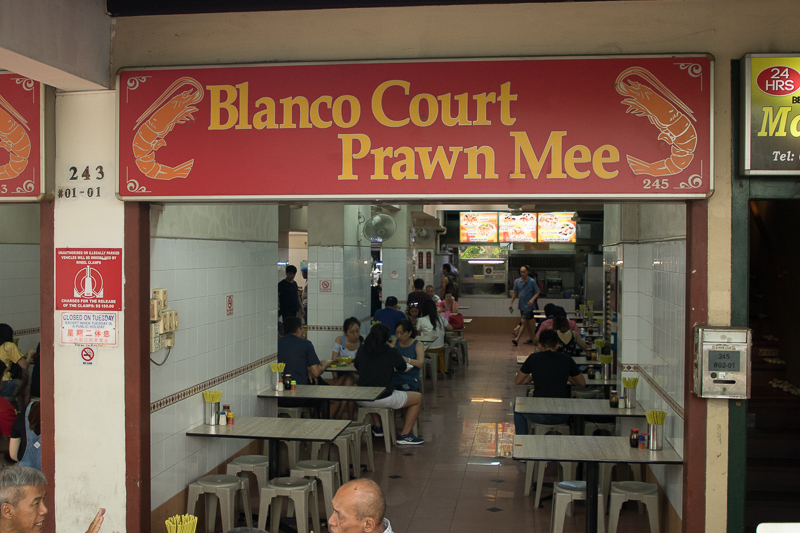 However, my vote would still have to go to Blanco Court Prawn Mee. 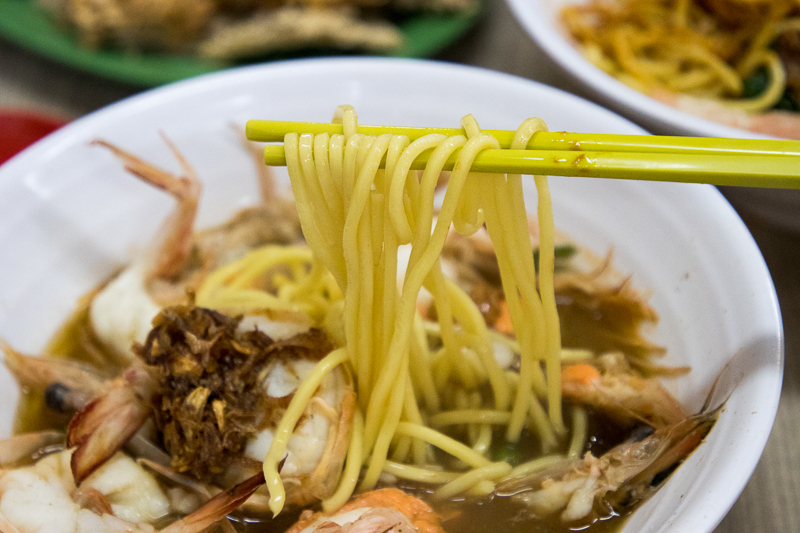 Blanco Court Prawn Mee is conveniently located right in the heart of the Instagram haven, Haji Lane. The shop faces the road and has a large eating area. There’s even a drinks stall and my other favourite, the Fried Ngoh Hiam stall within the same complex. Without further ado, I dived straight into my comfort food with a bowl of Large Prawn Noodles (soup) (S$8.90). I ordered the classic one with yellow noodles but you can choose between kway teow, vermicelli, thick bee hoon or a mix. 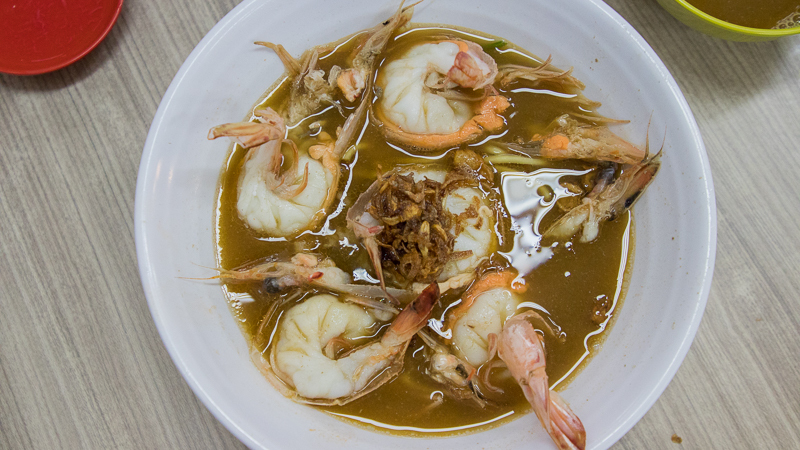 The thick prawn noodle broth was dark and murky, evident of the long hours of boiling it with the prawns. The broth makes or breaks a bowl of prawn noodles, and the rich soup here was what set this prawn noodle apart. There was a prominent sweetness permeating through the soup, and a robust earthiness with a hint of brininess. The buttery and nutty prawn oil in the aftertaste lingered on my palate and made me go in for another spoonful. The noodles were al dente with a slightly chewy texture. 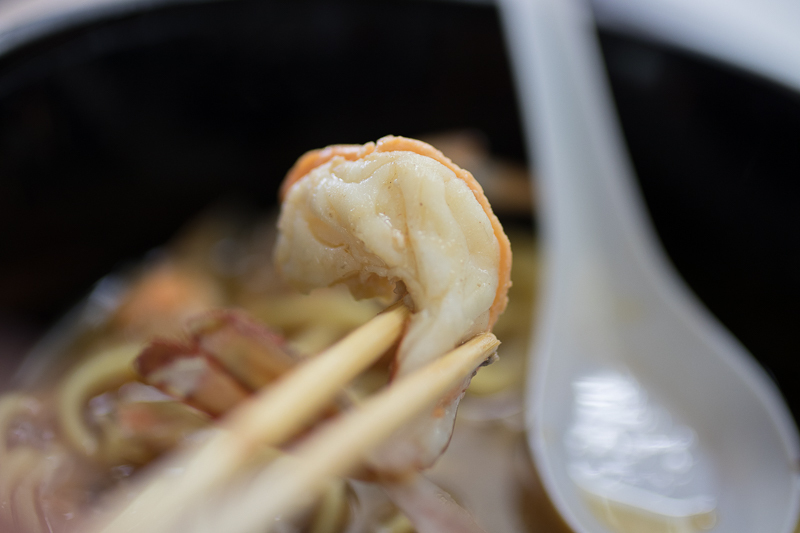 Each strand of noodle was coated with the prawn broth and the distinct sweetness that was hard to resist. The prawns were also extremely large and cooked to perfection, with a decent bouncy bite. 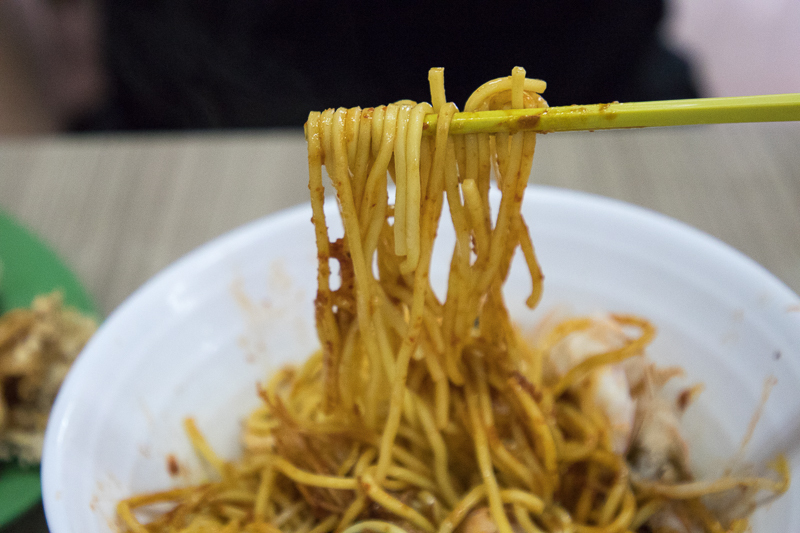 I really enjoyed the bouncy prawns as it contrasted with the chewy noodles and provided another layer of texture. The prawns were also cut in half, so they were easily deshelled without dirtying our hands. If you prefer flavours that are less intense, I would recommend going for the dry version. Without the soup, the delicate sweetness of the prawns came through more clearly. For the dry version, I would recommend going for the kway teow. 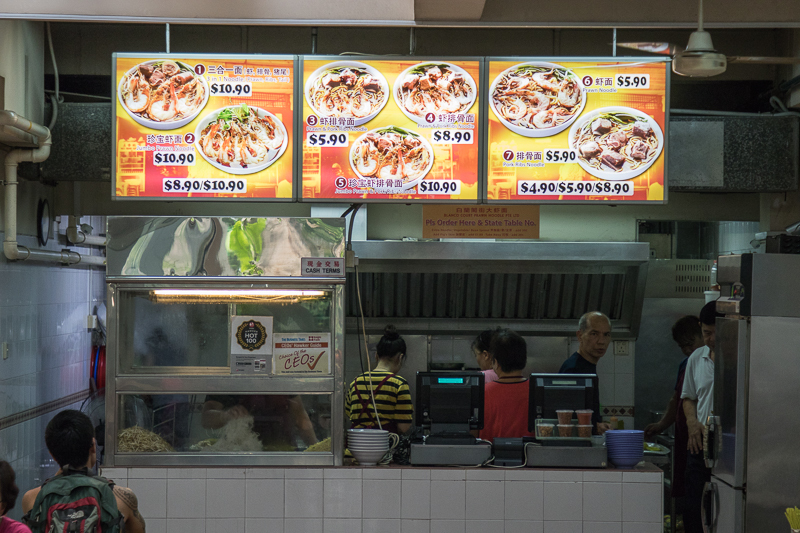 With the larger and flatter surface area of the kway teow, you would be able to pick up more sauce in every bite. 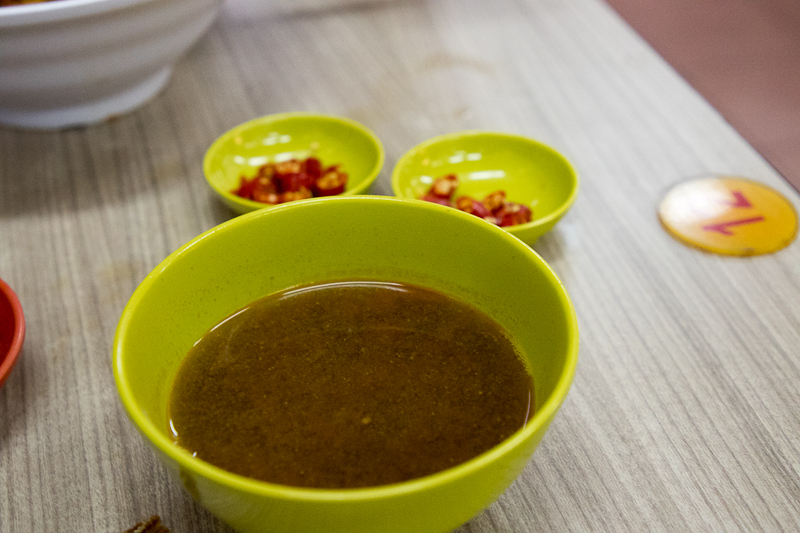 The sauce was made with pork lard, chilli sauce and aromatic shallot oil. There was even a spoonful of deep-fried shallot and crackling pork lard on top of the dish. 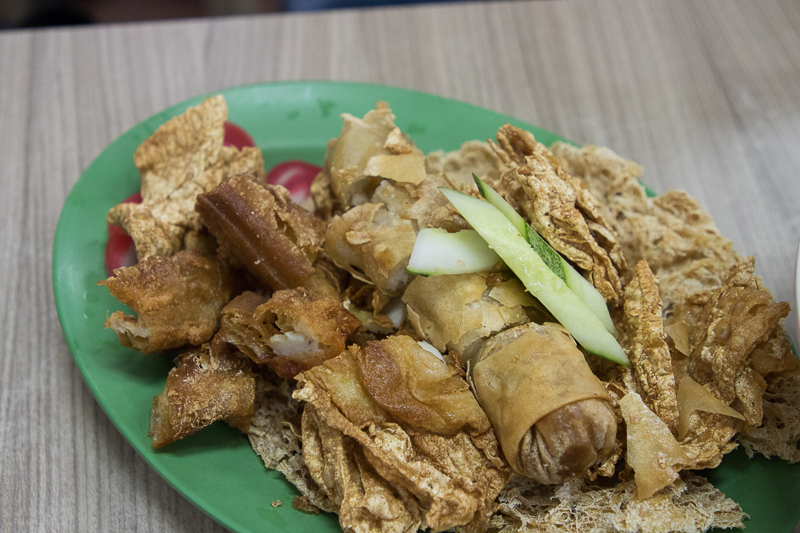 With each mouthful, the pork lard exploded with a burst of gaminess and added a crunchy contrast to the smooth and silky kway teow. The dish came together in interesting ways. 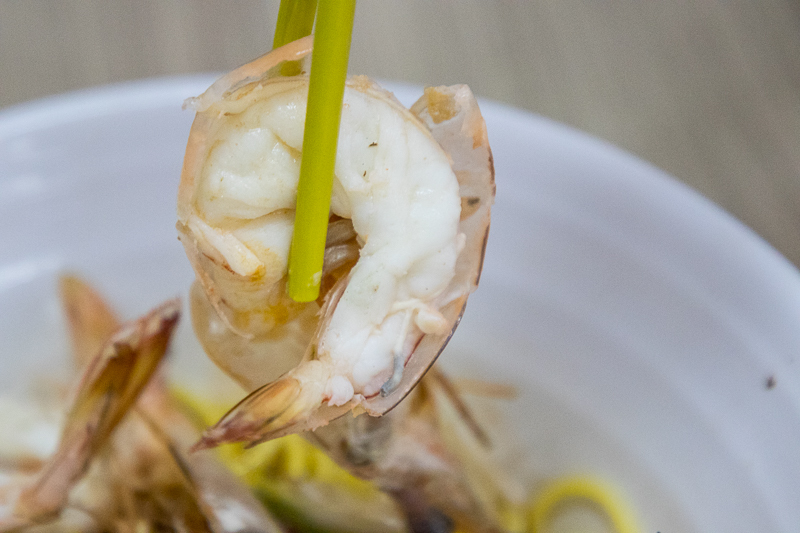 I could taste the natural sweetness of the prawns coupled with the gaminess of the pork lard, the aromatic earthiness of the fried shallots and a spicy kick of after every bite. Trying the dry version, the different layers of textures were clearer. From the crunchy pork lard to the silky-smooth kway teow, these textures were combined with flavours like the chilli and sweet prawns. If you suddenly regret having it dry, fret not because a bowl of thick prawn broth is served with every bowl of dry prawn noodles. You can pour that into the noodles before slurping it up! This humble prawn noodle stall makes the thickest prawn broth I’ve ever tried. This has to be my best-kept secret, and it’s the first thing I’ll have coming back from overseas. On top of being conveniently located near Bugis MRT, this warm bowl of this prawn noodles never fails to warm my heart. 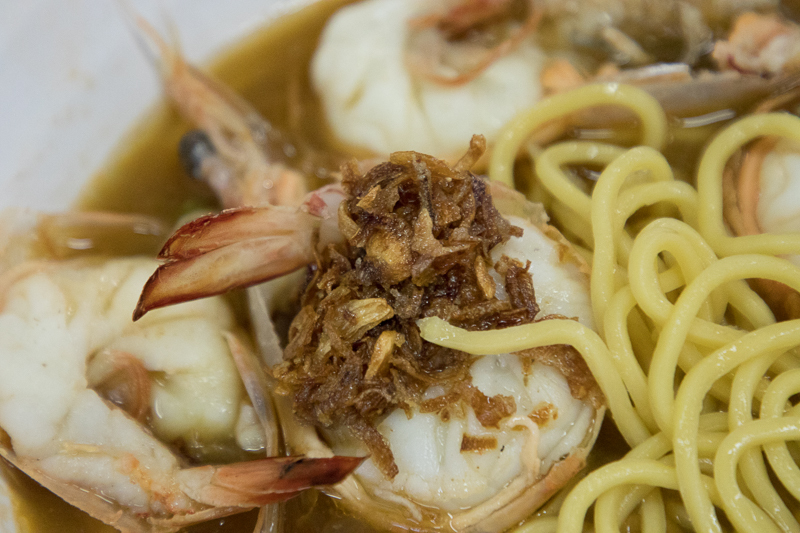 Blanco Court Prawn Mee guarantees a hearty meal that would put you in a cuddly food coma. 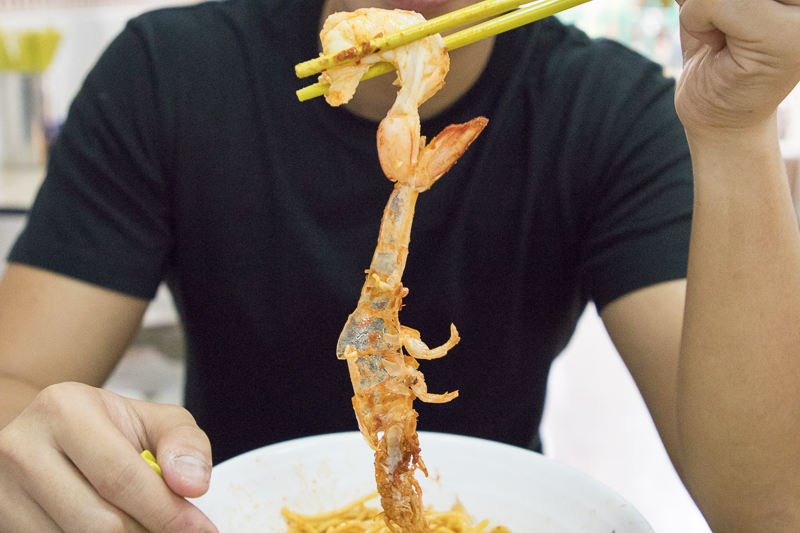 I may be biased but to me, this has to be the best prawn mee in Singapore. You have to try it to believe it!